We have established a family friendly atmosphere where adults and kids alike can enjoy themselves while enjoying the most beautiful views in South Jersey. So whether it is a day out for drinks with family and friends or a night out of good fun, delicious food, and great entertainment, let The Wharf be your waterfront destination. 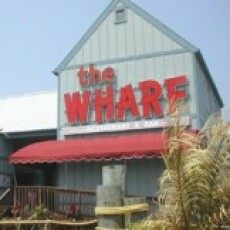 Come see us at The Wharf, 'the Hideaway on the Waterway'.